This is the original Gouache painting by Bernard Long. Although a member of the elephant family, this species adopted a lifestyle closer to that of hippos. 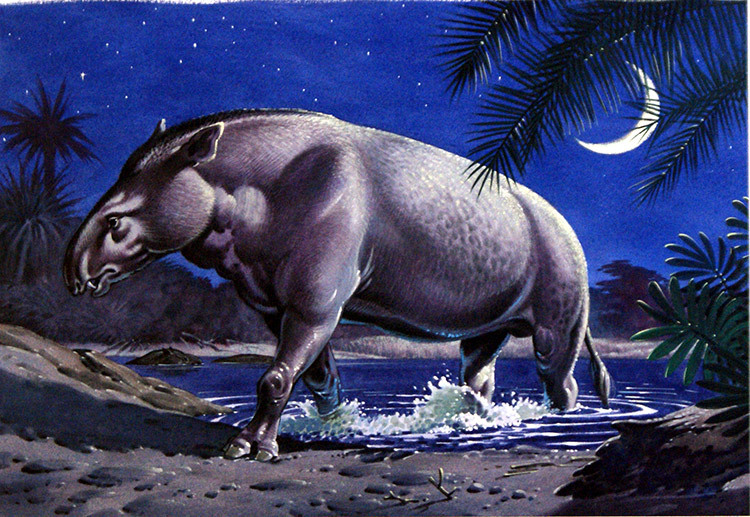 From the book Prehistoric Animals illustrated by Bernard Long.